Historic Tours leave every hour on the hour. Paranormal Tours leave every 2 hours. The last 1st floor tour leaves at 5:00 p.m. and the last 4 floor/paranormal tour leaves at 4:00 p.m.
We are open Tuesday through Sunday. 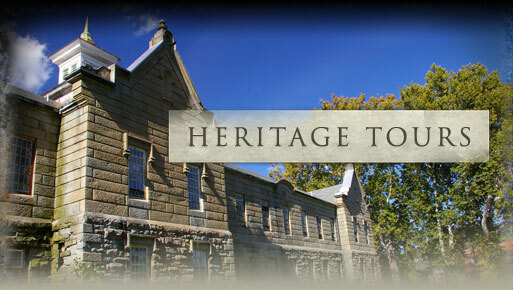 Our tour season will end mid November for historic restoration and general repairs. Ghost hunts of this massive building run year round. March 30th, 2019 – November 17th, 2019. No reservations for daytime tours required. Learn about the pioneers of humane treatment for the mentally ill while visiting the first two wards for the patients and see the Civil War Section of the hospital. Hear about the gold robbery that helped West Virginia become a state and how being a border state affected the area. ?All of the first floor tour experience plus, step back in time to the 1935 fire that destroyed 4 wards of the Asylum. Visit the doctors' apartments, nurses’ quarters, Ward F where the most deviant of patients were kept, and explore the first floor of the Medical Center. Learn the history of medical treatments performed in asylums as well as how this facility helped the local community through two wars and the depression. Medical procedures used throughout the years and much more! This companion tour allows travel through the areas designed to hold the criminally insane for over a century. Learn about the admissions process and the riot that stopped it all. Tours leave on the hour. The VIP Tour is a special tour which includes a mixture of all the other daytime tours we offer. The tour is a walk through the building with a guide who has 9 years of touring experience. The tour has no standardized script or tour route and includes history, paranormal, local civil war, architecture and treatments. The tour is 90 minutes and offered on a limited availability. The Asylum has had apparition sightings, unexplainable voices and sounds, and other paranormal activity reported in the past by guests, staff, SyFy's Ghost Hunters, Ghost Hunters Academy, the Travel Channel's Ghost Adventures and Paranormal Challenge. Step back in time and see how the mentally insane lived, and died, within these walls. Thousands have been committed to the asylum over the years, and hundreds unfortunately died here. Decide for yourself if they’re still occupying the historic wards and treatment rooms. Customers obviously under the influence will be asked to leave. Ever thought about spending the night in a haunted Lunatic Asylum? 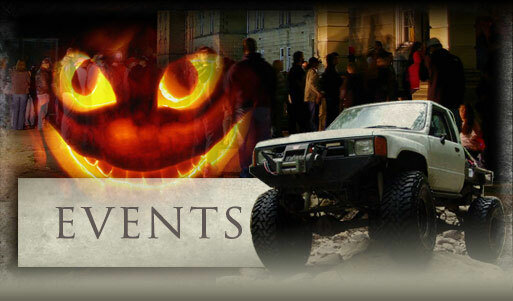 Our Ghost Hunts last from 9:00 p.m. to 5:00 a.m. (excludes October hunts). After everyone is registered and divided into groups, guides will assist you in your exploration of this massive gothic asylum. 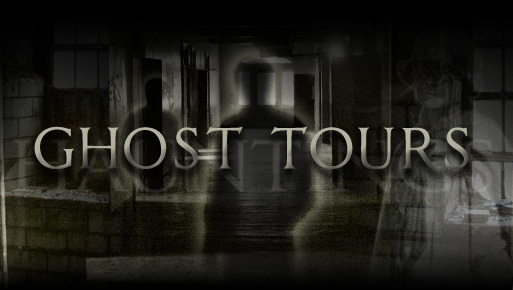 After a brief paranormal tour you may either hunt alone or with our experienced ghost hunting guides. Our guides are here to ensure that you have a positive and safe evening. Cost is $100.00 + tax per person. Have you been curious about the possible paranormal activity in the other buildings at the facility? Due to popular demand, we are having an investigation of the Medical Center, the Forensics and the Geriatrics buildings. The investigation time will be divided to ensure each group has time in each of the 3 buildings. This hunt will last from 9:00 p.m. to 5:00 a.m. Dates currently available are above. Belong to an experienced ghost-hunting group or just want the building for yourselves? Spend the night roaming the building undisturbed by other investigators. Bring all the equipment that you have and investigate your favorite hot spots. 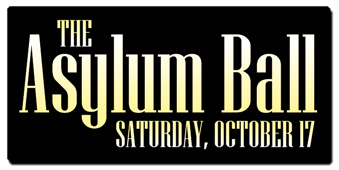 Your Asylum check in time is 9:00 p.m. and you will be released at 5:00 a.m. the following morning. Are you brave enough? Cost is $150.00 + tax per person, minimum 10 people. Tickets to ghost hunts do not include tickets to any other activities at the Trans-Allegheny Lunatic Asylum. These tours last approximately two hours (10:30 p.m. to 12:30 a.m.). This is a guided tour of the 4 hottest spots in this 242,000 sq. foot Asylum. Once everyone is registered, we'll break the groups up and assign guides. Make sure you stay with your guide. You never know what could happen if you break from the group. Cost is $40.00 + tax per person. Dates currently available are on our ONLINE STORE. These tours last approximately 90 minutes. This is a GUIDED TOUR of the 4 hottest spots in this 242,000 sq. foot Asylum. You must stay with your guide. Still photography is allowed but must not interfere with any tour. Tickets are first come first serve and are available on-site only. Cost is $35.00 + tax per person. Call for details or to book your group. Tickets are first come first serve and are available on site only. During the special events & October at the Trans-Allegheny Lunatic Asylum we also offer Flashlight tours of the historic Kirkbride building and the Medical Center! 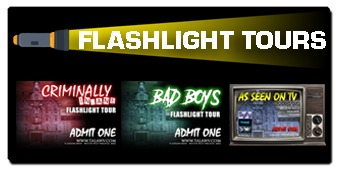 Flashlight tours are 30 minute half historic and half paranormal tours. Cost is $10.00 + tax per person. Join us for the 2019 tour season and the unveiling of the preservation work accomplished over the winter months. Each year, as we continue our research, we enhance our tours to include more insight and information. We are also always working to expand our museum exhibits. Bring Mom out to celebrate Mother’s Day at the Asylum. She will receive a beautiful rose and $10.00 discount off of her Four floor historic tour. 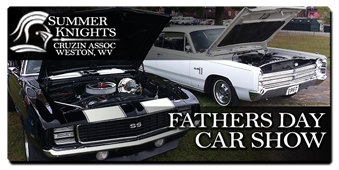 Stroll around on our picturesque lawn and enjoy shopping with West Virginia craft vendors. 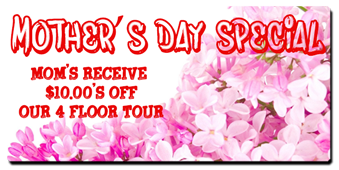 Dads will also get a $10.00 discount on admission for a four floor historic tour. As our Haunted House grows, we continue to stretch the limits of our imagination to ensure that you and your friends have a horrific good time and something to talk about ‘til next year’s haunted house. We specialize in the things that go bump in the night. Travel back on our farm and help rescue humanity from the zombie horde.There are only 18 tickets every 30 minutes. $20.00 per person + tax includes 100 paintballs. 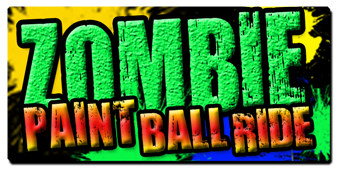 Additional paintballs are available during your ride for just $5.00. 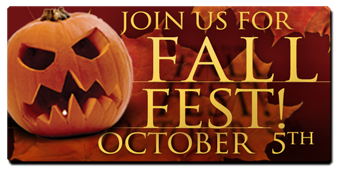 TALA's Annual Fall Festival we'll be continuing the tradition of great family fun for all ages. We have a variety of vendors offering an assortment of food, crafts, and many other items. Karaoke, talent competitions, costume contests, children's games, and more. 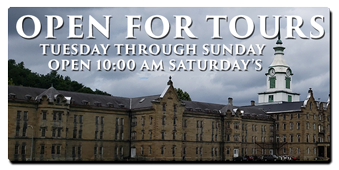 Opportunities to explore the Trans-Allegheny Lunatic Asylum also will be offered include Heritage, Paranormal, Zombie Paintball, Flashlight Tours and our Haunted House.